Been a crazy couple of months but I got the #12 out for a couple of race weekends at Mazda Raceway Laguna Seca and Infineon/Sears Point. 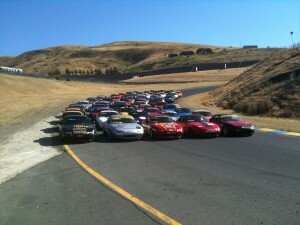 As a San Francisco Region board member for the last year and a half, I developed an idea to turn our annual Infineon Raceway Double Regional event into the “Sonoma Sprints”, hopefully the beginnings of a west coast championship race combined with our incredibly popular Spec Miata Festival. To help build the biggest, most competitive field possible, I campaigned to change the format to a Double Rational, which is SCCA’s National and Regional racing on track simultaneously. 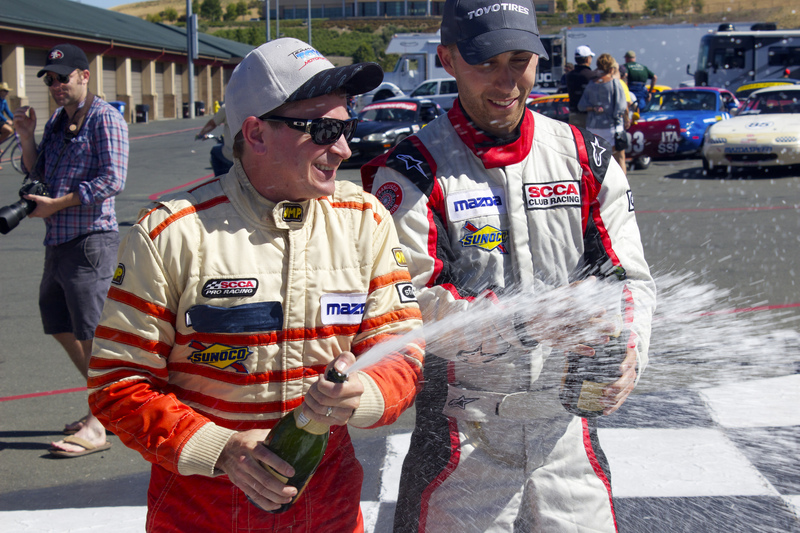 Drivers who primarily race National races would make the tow to earn points and run at Infineon (which hasn’t had a National in well over 5 years) and those who already know how competitive our regional weekends are (40-50 Spec Miatas on average) could come do battle as well. Philosophically and economically, I see no reason to have the distinction between Regional and National racing in the way it’s currently implemented and for this event, I wanted to have huge, competitive fields. For an inaugural event, I don’t think too many people were disappointed. The Spec Miata group actually sold out more than 10 days in advance of the event when we reached the limit for number of cars permitted on track by the rules. Spec Racer Ford saw huge contingents make the haul from Oregon and Southern California. Our formula car fields looked every bit as full as the Runoffs last year at Road America. The weather was gorgeous, the races were mostly under green flags and the feedback was very positive. It will take a long time before we have the prestige of Chicago Region’s June Sprints (which is now in its 57th year…) but there is no doubt that we had the competitiveness required of a big race. I had a great weekend, with a lot of old friends making their way back out to the track. TFB Performance finally put humpty dumpty #12 back together again so I could go racing and we had a good haul with one 3rd and two 2nds. Former trailer-sharing-partner Kevin Baillie and I had friends and family out on Sunday for the two races along with my semi-annual Taco Truck catering program and it was another huge success. To end the weekend, I got to stand on the podium with the AIM Tires trophy girls and a big bottle of champagne. Despite not standing on the top step (kudos to Polsley for great drives all weekend long), this was one of the most fun weekends I’ve had and something I hope we can do every summer. 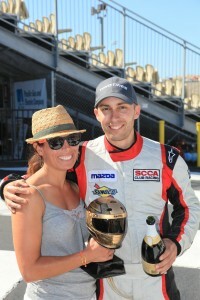 Props to SafeRacer whose Cool Suit system kept me cool as a cucumber during the 40-minute races in the heat. The ability to focus on the race and not think about how hot you are is a huge competitive advantage.